“Does anyone know a good Masseur / Masseuse in Launceston?” - posted by a friend of mine to facebook this week. Minutes later she had referrals, back up referrals and phone numbers of who to call. “Can you believe what XYZ property managers let my tenants do to my place” [photo] [photo] [photo] – posted by friends of friends and then shared and shared and shared. We live in a new world where customer dissatisfaction isn’t limited to dining table conversation and where referrals are spread (or not spread) with the greatest of ease amongst your 300 (or 5000) “closest” friends. It’s both exhilarating and terrifying (see the One Star Review - http://blog.kirstydunphey.com/2011/08/one-star-review.html). 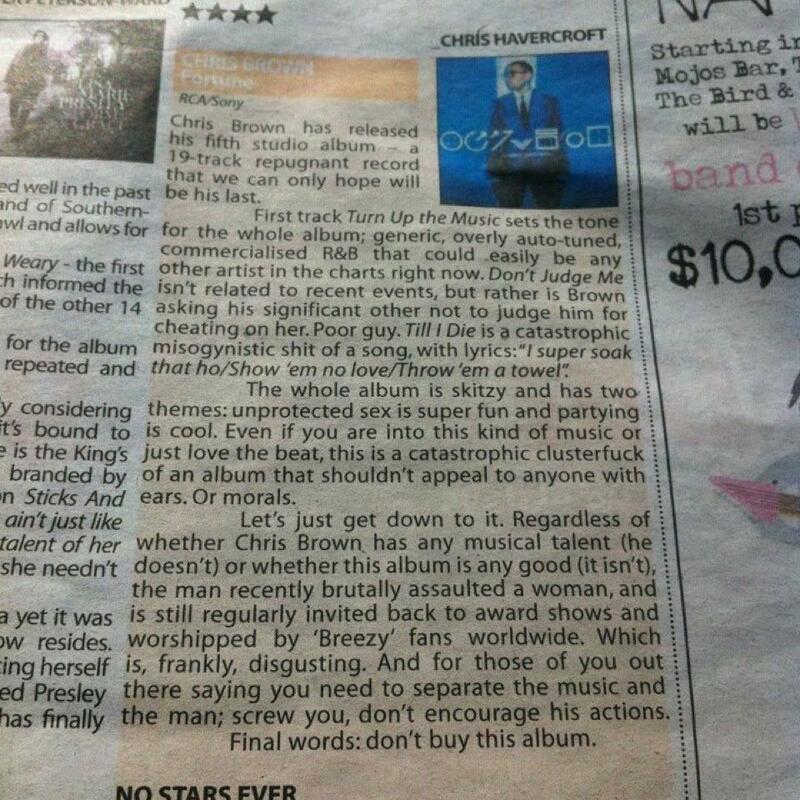 And my favourite feedback frenzy of late, a review of Chris Brown’s new album rating it “no stars ever”. Reposted, shared and liked by at least 20 people on my feed and now by me to 5,000 of you.